The importance of looking after our teeth is something that is taught to many of us from a young age. Brushing twice a day, flossing regularly, limiting sugar and visiting the dentist for check-ups are all crucial elements for a healthy smile, yet often, despite following all of the guidance given to us, our teeth develop problems. Decay and minor damage are two of the most common problems treated at Vero Dental Spa. Both can cause a number of symptoms including sensitivity and pain. By identifying and treating the cause as quickly as possible, you can limit the extent of the dental work that will be required and prevent the symptoms from worsening. 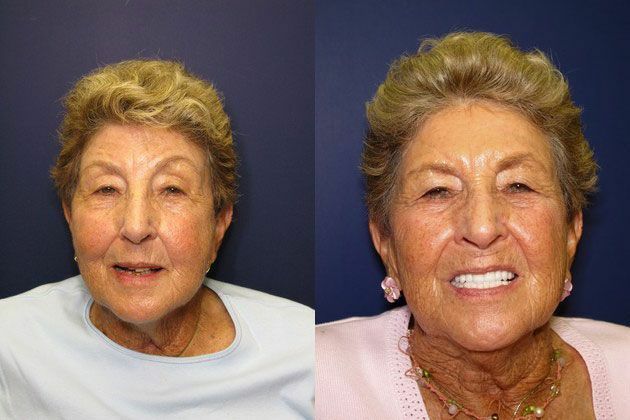 Porcelain crowns are one of the principle treatments for this type of damage, and our experienced team is pleased to be able to offer an exemplary standard of care to our patients requiring a porcelain crown. Porcelain crowns are a highly popular, restorative treatment choice for mild to moderately decayed or damaged teeth. Each crown is provided in the shape of a natural tooth, and sit over the top of the affected tooth, encasing it fully inside. This hides any damage, and in the case of teeth that are broken or cracked, will hold the tooth together. While crowns have been around a long time, it is only in recent years that an increasing number of patients have begun choosing a porcelain variety of this popular treatment. This is because, unlike metal, porcelain can be created in a variety of different shades, enabling patients to pick a color that closely resembles their natural teeth. Therefore, when the crown is put in place, it blends perfectly with the rest of the patient’s smile, offering the ultimate discretion. What dental problems can porcelain crowns correct? When you attend an appointment with us, our dentists will use your dental history as well as a thorough examination of your teeth to determine if a porcelain crown is the best treatment for your dental problem. How are porcelain crowns fitted? The process to fit porcelain crowns requires two visits to our offices. The procedures on both days are straightforward, and always performed using a local anesthetic, meaning that you should not experience any pain during the procedure. If you suffer from dental anxiety, it may be possible for you to be sedated. Our dentists are highly understanding of patients with dental anxiety, so please be sure to enquire about sedation options during your consultation appointment. During your first visit, the tooth that is to accept the new crown needs to be prepared. This involves filing down the natural tooth so that the crown can sit perfectly over the top. This is because all porcelain crowns are designed to a specification which ensures that they are strong enough to withstand daily use, but still have a natural-looking translucency. If there is not enough of the natural tooth left to support the crown, your dentist may build it up using special resin. In addition to this, he will also remove any decay, so that the underlying tooth is as healthy as possible before the permanent crown is placed. After your tooth has been prepared, we will take moulds of your teeth. This will be used to create your custom-designed porcelain crown. We will also work with you to determine which shade of porcelain will provide the closest match for your natural teeth. Finally, you will be given a temporary crown, which you will wear until the final crown is ready. This will only be secured with semi-permanent adhesive, and so you will need to avoid sticky or chewy foods, which could pull the crown loose. Around a week later, you will return to our offices to have your new, permanent crown fitted. After removing your temporary crown, we will assess the color and fit of your final, permanent one, before cementing it in place. We are passionate about providing our patients with exceptional quality dentistry and care. Our team has extensive knowledge and experience in delivering restorative dentistry services, especially with porcelain crowns. If you would like to find out more about this popular treatment, call Vero Dental Spa today for a complimentary consultation at 772-252-6493.